Platinum —the element— is a rare and precious metal, also known as one of the noble metals. The 2019 Ford F-150 Platinum, available at Edmonton’s favourite Ford dealer Team Ford, is the embodiment of these aspects in a truck. A minimal and classy exterior frame a powerful and capable truck. Just as platinum is one of the strongest metals known to man, the 2019 F-150 is one of the strongest trucks known to man—with a military-grade aluminum alloy frame that is equal parts lightweight and durable. 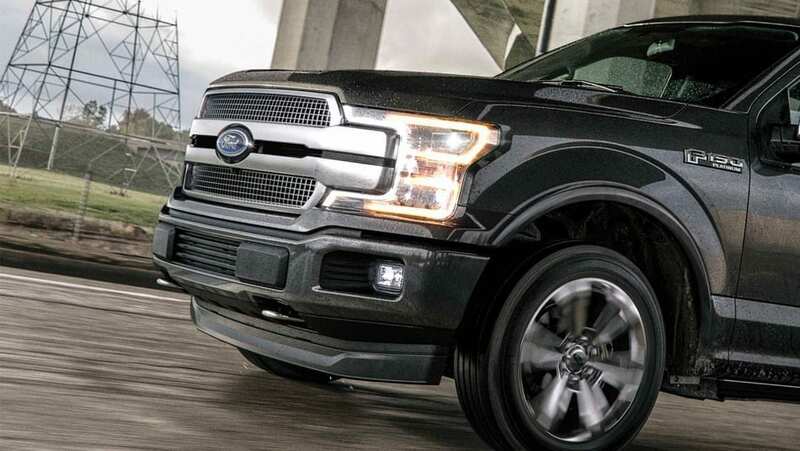 Read more about the 2019 Ford F-150 Platinum edition which is both powerful and noble, but strong enough that you won’t need to treat it preciously. The 2019 Ford F-150 Platinum offers an appearance package unmatched by any of the other F-150 trim levels. Minimal chrome accents provide a truck that appears to blend in, until closer examination. Matching painted cladding provides a clean look, while a chrome-accent two-bar satin-finish grille and matching satin-finish surround with a mesh insert, providing an understated look that’s as classy as it is masculine. 20” polished aluminum wheels, a satin-finish tailgate applique, and chrome exhaust tip provide sharp accents to the F-150 Platinum, while the power-deployable running boards bring functionality while proving that the devil really is in the details. The interior of the the F-150 Platinum receives supple leather seating, with Active Motion® bucket seats and genuine wood-grain accents. Get the most out of the standard Auto Start/Stop-enabled 5.0L Ti-VCT V8, thanks to Ford’s Electronic 10-Speed Transmission, complete with Tow/Haul, Snow/Wet, EcoSelect, and Sport Mode—by which we mean all 395 horses and 400 lb.-ft of torque. Independent front suspension and power rack-and-pinion steering provide a refined touch while driving, and Ford’s AdvanceTrac® with Roll Stability Control™ give the 2019 F-150 Platinum an extra dose of self-assuredness—as if a truck with this pedigree would need it. Despite the Platinum’s good looks it’s still a Built Ford Tough truck, meaning you’re sure to put it through its paces. 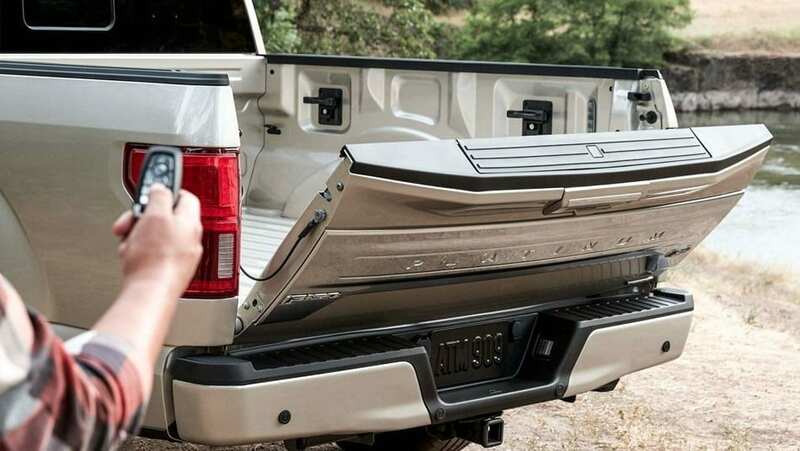 That’s why Ford has ensured it’s full of useful extras, like the tailgate step with tailgate lift assist, so that you get the most out of your F-150 Platinum—whether you use it for business or pleasure. The 2019 Ford F-150 Platinum is a strong and noble version of Ford’s storied truck, worthy of its name.  Come by Edmonton’s favourite Ford dealership, Team Ford, and test-drive the F-150 Platinum today!